Artists, arts entrepreneurs and businesses that contribute to the arts experience in greater downtown Phoenix will be featured during Art Detour, on First Friday maps and more. 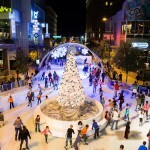 PHOENIX (December 12, 2014) – Artlink Inc. is a 501c3 nonprofit organization that promotes the downtown Phoenix arts community. Artlink invites artists, arts entrepreneurs and businesses that contribute to our vibrant downtown culture to become Artlink Articipants. Articipants can take advantage of a variety of promotional opportunities throughout the year like First Friday, Art Detour and more. As Artlink gears up for the Third Annual Art d’Core Gala (Feb 21, 2014) and the 27th Annual Art Detour (Mar 7-8, 2015), registration to become an Artlink Articipant is now open. Based on different categories (Artists; Galleries/Art Spaces; Restaurants/Bars/Retail), Articipants receive a wide range of year-round benefits designed to help promote their arts and culture endeavors (beginning February 1, 2015 through January 31, 2016). Art d’Core Gala: In partnership with the Office of the Mayor, Downtown Phoenix, Inc., Artlink and other community partners host an exceptional celebration that spotlights the significant contribution of the arts in creating a dynamic urban core. The festivities include music and dancing; fabulous food and drink; a special address by Mayor Greg Stanton; and an eye-popping virtual tour of downtown art spaces. Art Detour: Art Detour is the event that launched the First Fridays Art Walk phenomenon. The annual event provides the public with an opportunity to meet visual artists in their working environments, to invite questions about their work and their work processes, and to see into the creative spaces tucked throughout downtown Phoenix that are not generally open to the public. First Fridays Trolley Tour: Over the past two decades, the First Fridays Art Walk has evolved into major monthly celebration that draws anywhere from 12-20,000 people every month. Artlink provides complimentary trolley service that enables the public to pick up a First Friday map, park and ride from four information hubs, and hop on/hop off at galleries all along the way. The trolley circulates throughout downtown connecting downtown arts venues and districts, from the Phoenix Art Museum, to the popular Roosevelt Row and Grand Avenue arts districts, as well as CityScape, the Warehouse district, and the Arizona Center. Knowledgeable docents staff the trolleys and help guide new and returning visitors. While Art Detour and the Art d’Core Gala remain signature events for Artlink, the organization’s programs have expanded to provide year-round promotional opportunities for downtown artists and arts spaces. 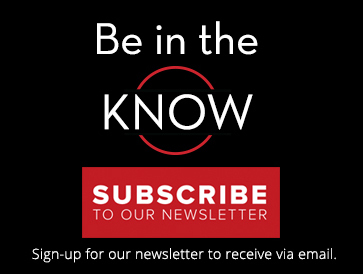 These opportunities include a Pop-Up Gallery program that features exhibitions of local artists in unique and nontraditional public spaces; guided Downtown Art Tours that shine a spotlight on artists and galleries; an annual Juried Exhibition; and a variety of calls for artists throughout the year. In addition, restaurants, bars and other downtown retail spaces benefit from year-round promotion on the Artlink Art Detour maps, First Friday maps, and the Artlink website, as well as additional promotional opportunities that will be rolled out over the coming months. The registration deadline is December 31, 2014. 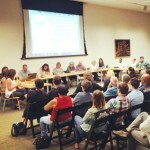 Get full details on Articipant levels and benefits at http://artlinkphoenix.org/articipants/. Artlink, Inc. is a 501(c)(3) nonprofit organization dedicated to linking artists, business and the public to better understand, appreciate and support a thriving arts community in downtown Phoenix. Artlink supports a variety of community-based art events, including complimentary Trolley Tours during the monthly First Friday Art Walk, one of the country’s largest self-guided gallery tour; Downtown Arts Tours, specially selected guided gallery tours; a year-round Pop Up Gallery Program featuring exhibitions in non-traditional spaces; the annual Juried Exhibition; the annual Art d’Core Gala, and the annual Art Detour self-guided tour, featuring open studios, pop-up galleries, family-friendly art experiences and more. Artlink’s year-round activities are supported by Downtown Phoenix, Inc., City of Phoenix Office of Arts and Culture, CityScape, APS, Arizona Commission on the Arts, Phoenix Art Museum, The Arizona Republic, Phoenix Convention Center, Dunn Transportation, The Torosian Foundation, Valley Metro, 12 News, City of Phoenix Aviation Department, Support Sky Harbor Coalition, Gammage & Burnham, Attorneys at Law, Arizona Center, Downtown Voices Coalition, Downtown Phoenix Journal, Invexi Web Development, Simply Adam Mann, Roosevelt Row CDC, and the Grand Avenue Merchants Association. For more information, visit artlinkphoenix.org. Join Artlink board members, volunteers, and Articipants at the 2014 Annual Meeting. David Krietor, CEO of Downtown Phoenix Inc.
Art Detour 27, Articipant opportunities, and more! Phoenix, AZ (August 22, 2013) – Artlink, Inc. will conduct two ticketed, guided gallery tours on Saturday, September 21, and Saturday, November 16, from 1:00 pm – 4:00 pm. These “Collectors Tours” will visit three galleries chosen by Dr. Sara Cochran, curator of modern and contemporary art for the Phoenix Art Museum and Gabriela Muñoz, her curatorial assistant from more than a dozen submissions. Tour participants gain intimate access to the galleries and have a chance to talk with the artists and curators one-on-one. monOrchid Gallery – 78 Years in the Fast Lane a retrospective of work by painter Fred Tiekken and Fata Morgana, photographs by Sean Deckert focused on the intersection of urban landscape and human development. Five 15 Arts – a “fabricated plants” installation by Mary Shindell exploring the contemporary affinity people have with gardening and the unforgiving forces of nature. Cost: $35 per ticket; or two for $60, includes transportation to the galleries, refreshments, and an expert guide. 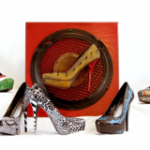 R. Pela Contemporary Art – all new work by Janet de Berge Lange featuring large-scale quilt panels made from tin and other metals, then cut and placed in a “sewn” pattern that depicts women’s struggles in the early 21st century. Dr. Sara Cochran, curator of modern and contemporary art at the Phoenix Art Museum, chose the galleries featured in the November tour. 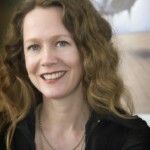 During her tenure at PAM, Dr. Cochran has organized a number of exhibitions including: Kehinde Wiley: Memling (2013); Ahmed Alsoudani: Redacted(2013); And the Land Grew Quiet: New Work by Matthew Moore (2012); Seeing is Believing: Rebecca Campbell and Angela Ellsworth (2011); Living for Art: Gifts from the Dorothy and Herbert Vogel Collection (2011) and Locals Only (2009) – an exhibition of Chicano and Latino artists working in the metro-Phoenix area. Previously, she lectured in contemporary art at Sotheby’s Institute of Art in London and worked at the Solomon R. Guggenheim Museum in New York. About Artlink Artlink, Inc. is a 501(c)(3) nonprofit organization dedicated to linking artists, business and the public to better understand, appreciate and support a thriving arts community in downtown Phoenix. Artlink supports a variety of community-based art events happening throughout the year and also operates the A.E. England Gallery, which is committed to showcasing the talents of new and emerging local artists. Ongoing community projects include, support of the First Fridays Art Walk, the country’s largest self-guided gallery tour; Artlink Collectors Tours, specially selected guided gallery tours; an annual Juried Exhibition; and the annual Art Detour self-guided tour, featuring open studios, pop-up galleries, family-friendly art experiences and more. Artlink’s year-round activities are supported by Phoenix Art Museum, Dunn Transportation, Snell & Wilmer, Arizona Commission on the Arts, Phoenix Community Alliance, The Torosian Foundation, Downtown Voices Coalition, Grand Avenue Merchants Association, Roosevelt Row CDC, Phoenix Center for the Arts, 6th Avenue Gallery, Urban Affair and Invexi Web Development. 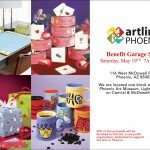 For more information, visit artlinkphoenix.org.